Hello, dear artists. 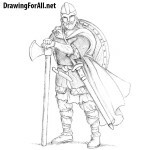 On our site there are a lot of drawing tutorials about representatives of different professions, such as an artist or skier. 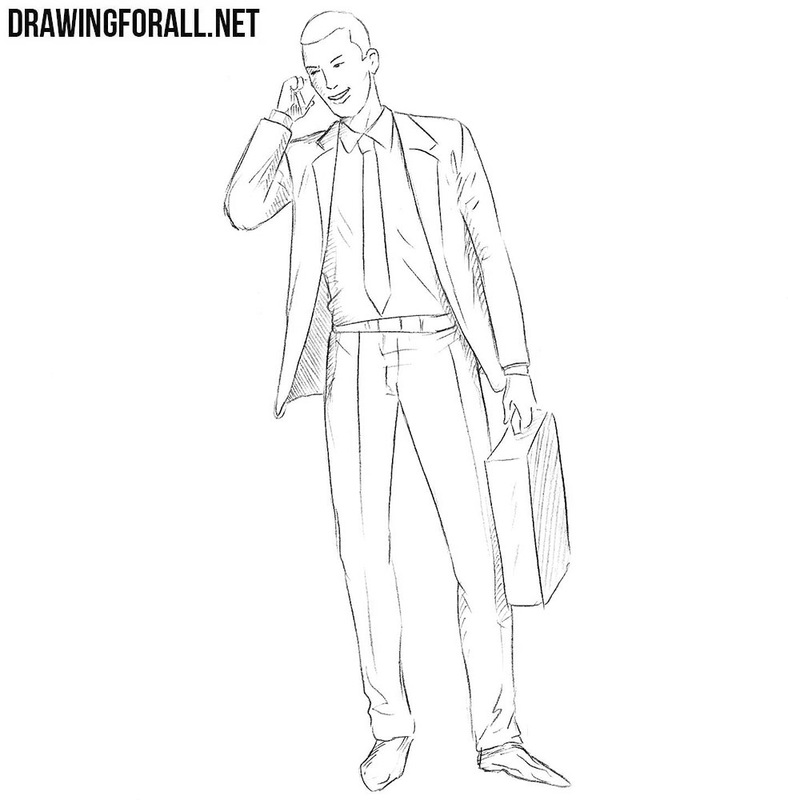 Today we want to continue this theme and made a lesson on how to draw a businessman. 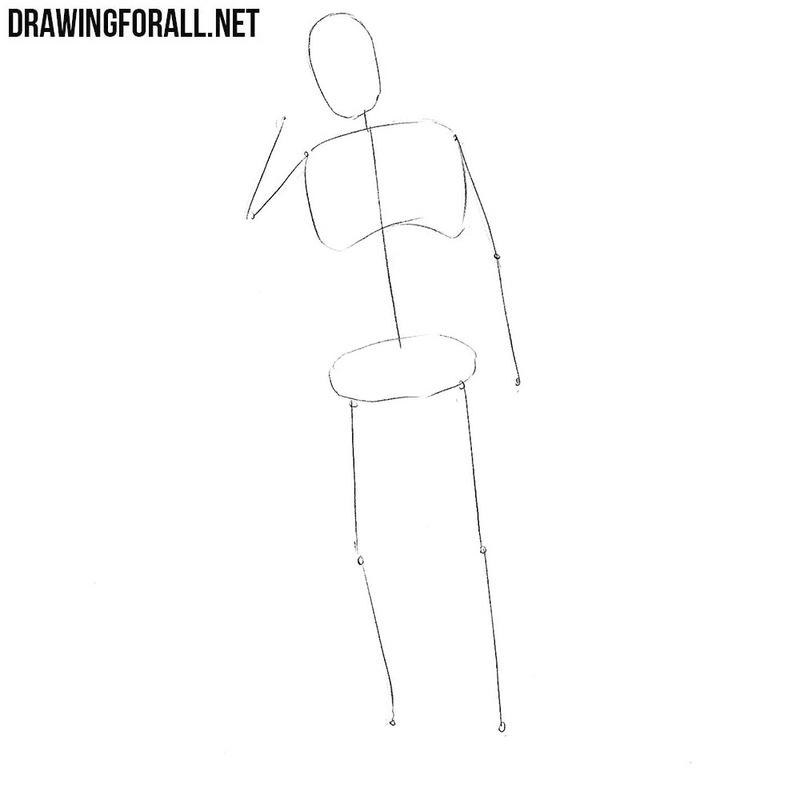 Let’s start with the stickman. At first we draw a head in the form of an oval. Next, outline a long spine. On the spine sketch out the thorax and pelvis. 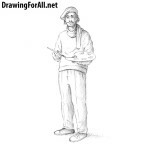 At the end of the step sketch out the arms and legs with the help of usual lines. we sketch out a mobile phone and in the left briefcase. Now let’s work with the basic details. First of all sketch out the eyes, nose and mouth with the help of simple lines. Next outline the hair of our businessman as in our example. 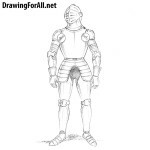 Sketch out the general ourlines of the elements of the suit. Let’s begin to work with the basic details of our businessman. Using clear and dark lines draw out the outline of the face and hairstyle of the businessman. At the end of the step erase all unnecessary guidelines from the head. 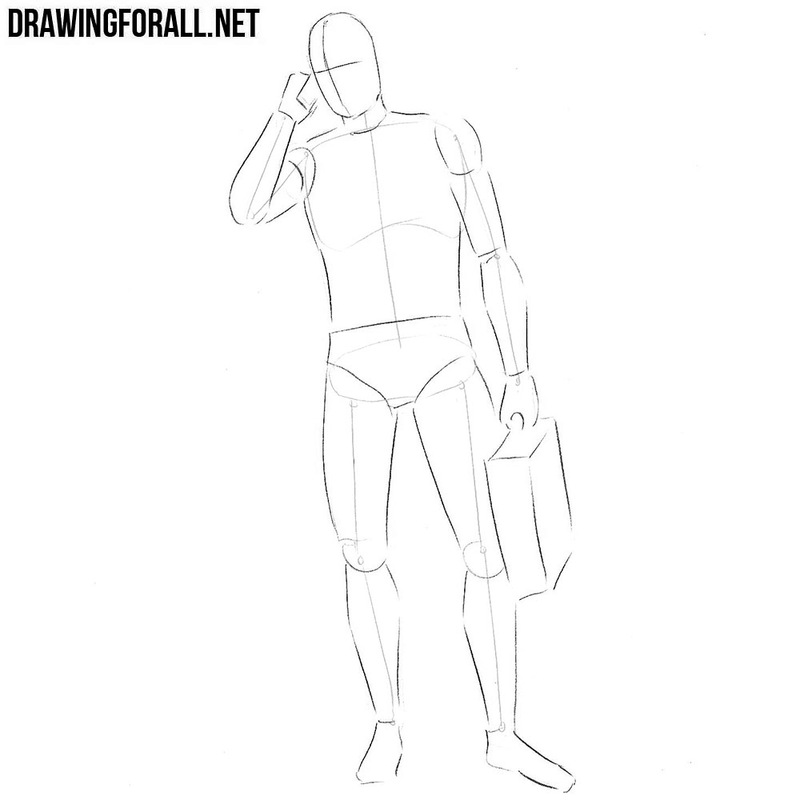 Continue the drawing tutorial on how to draw a businessman. Here we will work with the details of the torso. 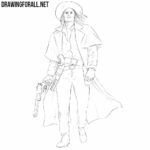 Carefully draw out the outline of the shirt, jacket and tie. 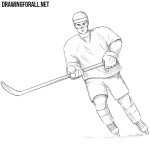 Draw the folds with the help of short lines. Now let’s work with the businessman’s arms. 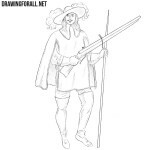 Using clear and dark lines draw out the outline of the sleeves. Add folds in the area of the armpits and elbows. 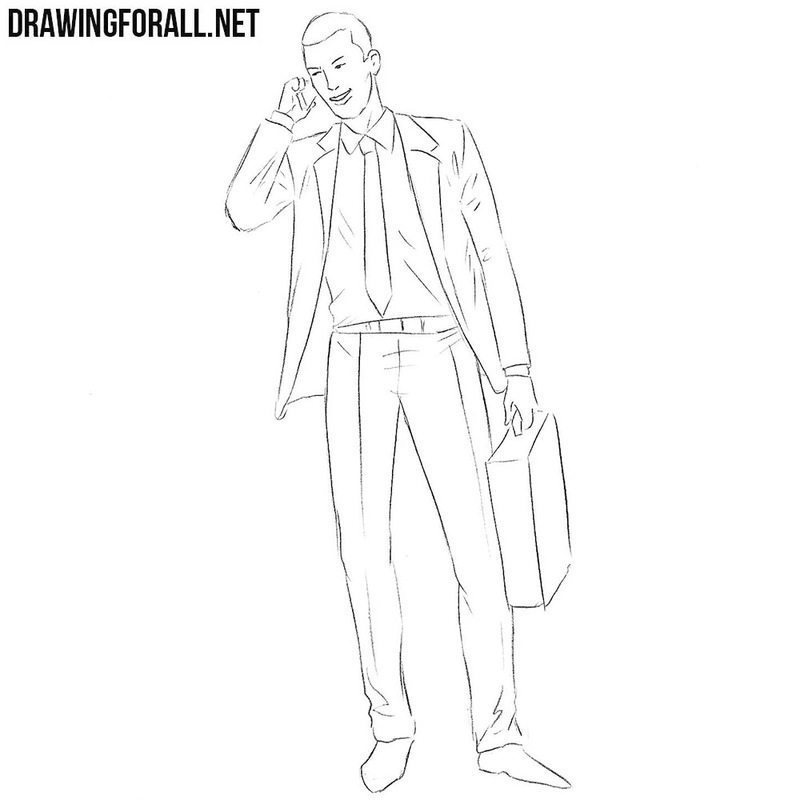 Carefully draw out hands, mobile phone and briefcase. Now let’s work with the lower body of the businessman. Draw out the outlines of pants and shoes, erase the guidelines and add some folds. The businessman drawing is almost ready, and we need only add some shadows. Using light hatching add shadows in areas where the light does not fall. So, it was a drawing lesson about how to draw a businessman step by step. Representatives of what professions would you like to see on our website? Write about it in the comments to this article.